Craving some grown up down time with a side serve of pampering, tropical indulgences and daily inspiration specials? We’ve got the perfect TONIC for you. 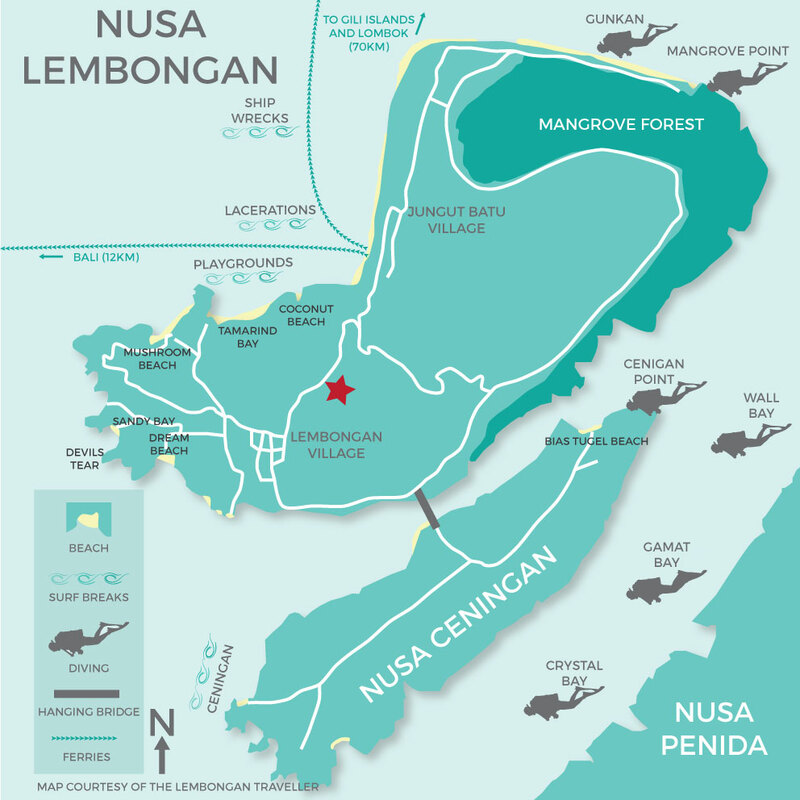 Discover a new level of relaxation provided by our friendly Australian trained team on the stunning island of Nusa Lembongan in Bali Indonesia. comfortably with energy work. Feel the radiant glow of your skin after one of our treatments using the finest botanicals, tailored to your needs. Unlike traditional spas that offer indoor treatments, we believe being surrounded by nature, heightens our senses while offering greater opportunity to relax. When you first step through our doors, our hand-picked elements stone, marble, wood, glass & water will transport you to a new and calmer state of mind. Connect with nature and feed your body and soul on 2 acres of a private tropical hide away. This day escape experience is the perfect interlude between surfing, diving and yoga. Tonic Body and Soul is your tropical island one-stop-shop massage and feel better destination that specialises in creating a blissful refreshing, restorative experience. We offer delicious foot massages, crystal salt foot soaks, reflexology, relaxation massages, Lomi Lomi and Thai inspired style massage, Chakra balancing, Jade roller and Gua Sha massage facials. Yes, we love a bit of retail, homewares, accessories and inspirational gifts are always being updated, pop in and enjoy a tea and a chat! Our spa products are sourced from all over the world and only the best ingredients are used, we’re over the moon that we can offer you Sensatia Botanicals and Spa Lab to take home with you to enjoy. Of course, all our equipment is hygienically cleaned to Australian standards. Set in a dedicated pavilion overlooking nature, sit back in our comfy lazy chairs and indulge in the perfect post treatment afternoon experience. including fresh fruit, pastries, cheese, ham, olives, dips and of course cupcakes. There is a choice of teas and a glass of bubbles sets the scene for a decadent relaxation session with your best friend or a group of friends! We also offer a fun oracle card reading session or you can simply take your time and enjoy our inspiration books and magazines. Our soulful tropical day spa is located at the top of the hill in the middle of Nusa Lembongan opposite Pura Dalem temple, look for the pink flamingos on the main road! There are 3 double open-air massage treatment pavilions and a large share pavilion where 8 guests can soak in the view whilst experiencing our Tonic Seated Bliss Ritual. We offer a complimentary relaxation inspiration pavilion equipped with free flow Tonic feel better tea, wellness magazines, inspirational books, napping hammocks, and oracle cards for you to enjoy. The relaxation pavilion doesn’t have a time limit simply because we want you to treat your body to the pampering it deserves. Drop by today! Did we mention we love you bringing your friends, perfect for girly getaways and group celebrations.